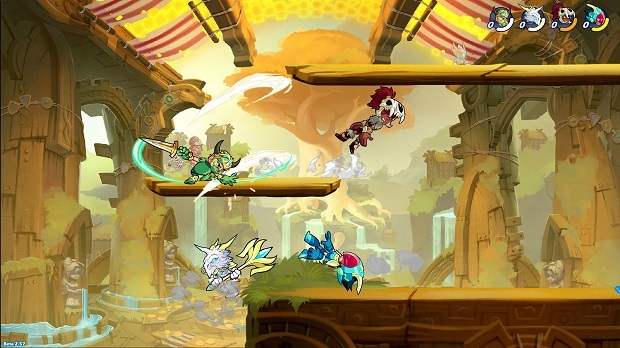 Brawlhalla will offer cross-platform matches when it launches on PlayStation 4 early next year, allowing console brawlers to take on their PC counterparts. The beta for the PS4 version of Brawlhalla is currently underway. You can sign up on the website or, starting Aug. 1, purchase a Founder’s Pack for $19.99 that grants you beta access as well as access to current and all future champions, including the newly released Caspian and other exclusive goodies. According to the infographic below, Brawlhalla currently has 5.3 million players on Steam, where it’s the “most played fighting game.” Those numbers should only increase once it goes into the final phase of testing — and eventual full launch — on PlayStation 4.